When the internet was developed, it was thought to offer the ability to share information across the borders of countries, without having to worry about the governments. Because the internet does not have boundaries of its own, no one imagined that it would be possible for websites to be accessible in some countries, but not in others. Yet, this is exactly what has been happening in many different countries. It is possible to surf blocked sites by using proxies or VPNs, regardless of where you happen to be living in the world, or the level of censorship that is present. There are many different reasons why websites might be blocked. Censorship is prevalent in many countries, although the level of censorship varies significantly.Some countries have censorship that is so prevalent that users have difficult accessing sites with a wide range of content, and it can be difficult to obtain any true information with a private connection. This is particularly true for countries that have a high level of political repression. In these countries, governments often restrict any content that they consider to be threatening, which frequently includes political or religious information. A second reason behind the blocking of websites is restrictions on a particular network. This is something that you often see in workplaces and schools. Here, the people controlling the network prevent users from accessing websites that might decrease their productivity or might be harmful. Finally, regional restrictions on websites also exist. This means that a site hosted in the United States might not be accessible to people who are living outside of the United States. This is particularly problematic for people who are expats from the region, and who are wanting to access content that they were previously used to. All of these forms of restriction can be bypassed in the same way. A Proxy gives you a way of altering your IP address, by masking it behind a different IP address that is provided by the Proxy provider. Because of this, it is possible to access websites that are blocked through a web filter, censorship network or through regional restrictions. 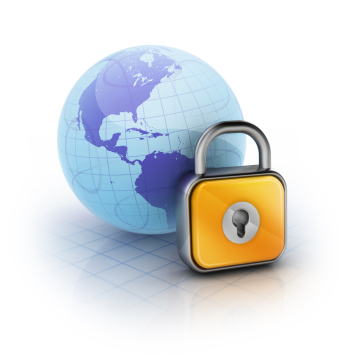 If you want to surf blocked sites, a Proxy makes this very easy to do. One thing that you want to consider is what location you want the dedicated proxy server that you connect to because this can affect your internet speed, as well as your IP location. For example, if you are wanting to get access to a regionally restricted website in Japan, you will need to connect to a Proxy server that is located in that country. Now on there is a another good solution available to enjoy unlimited, unrestricted and anonymous internet wherever the internet is blocked and it is called a vpn (virtual private network). With a good quality vpn, you can indeed bypass any filtering system established by your network administrator and enjoy all the blocked website (facebook, twitter etc…) When it comes to unblocking websites with a vpn, we advice you to go for either Express VPN or Nord Vpn.